A sales contract is a written agreement between the buyer and the seller or customer for the purchase and sale of property. The contract legally binds the two parties. After the sales process is complete, according to the agreement, the buyer is given the right to enjoy the property for a lifetime. A sales contract must be signed by both parties to be regarded as legally binding. 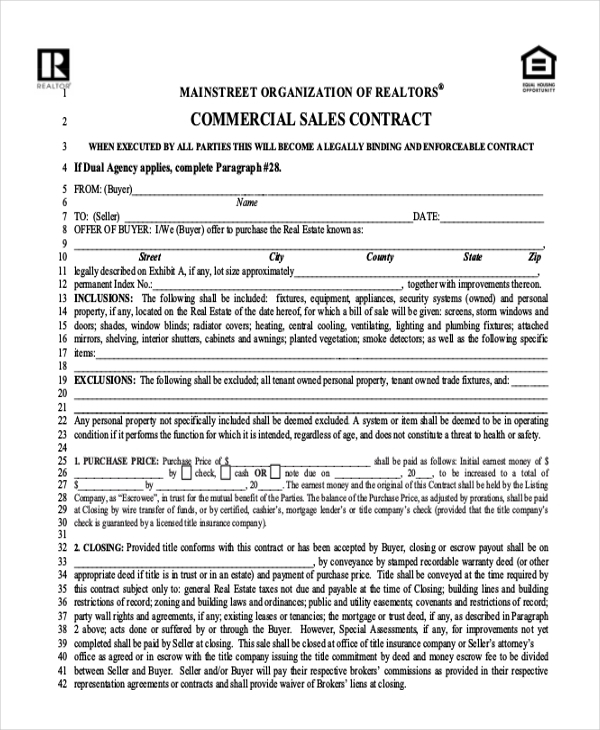 These are high-quality Contract Forms that you can use as sales contract, and here is a good list. 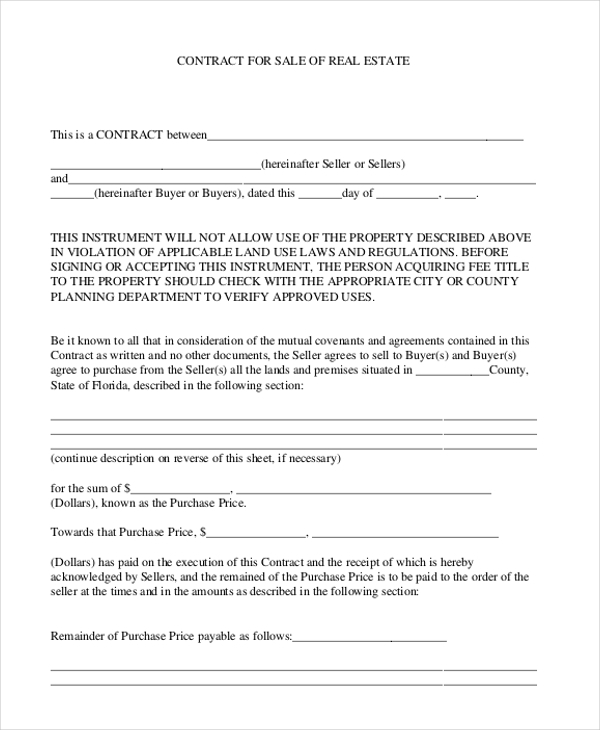 The written contract eliminates understandings between the property owner and the buyer. Anytime there is an issue, they both refer to what was stipulated in the lease agreement form. 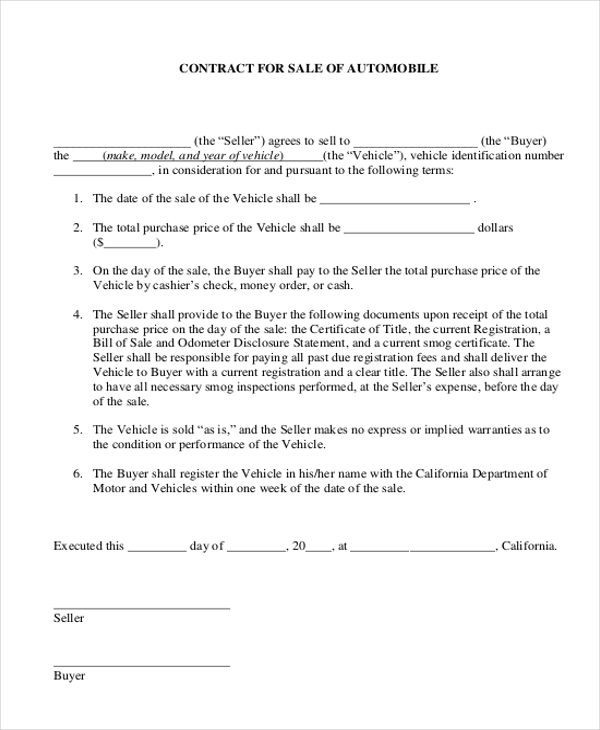 The sales contract form covers a certain period, so the moment the moment the buyer clears the payment, the seller cannot go back to the words that he didn’t intend to sell. 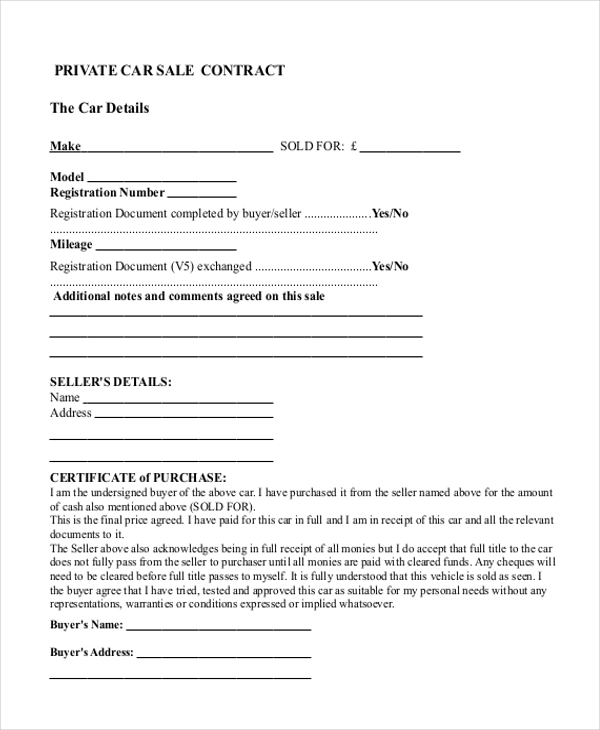 You may also see Car Sale Contract Forms. If you agree on buying an apartment at a particular rate, payable in a given duration, you will have to stick to the terms of the agreement. 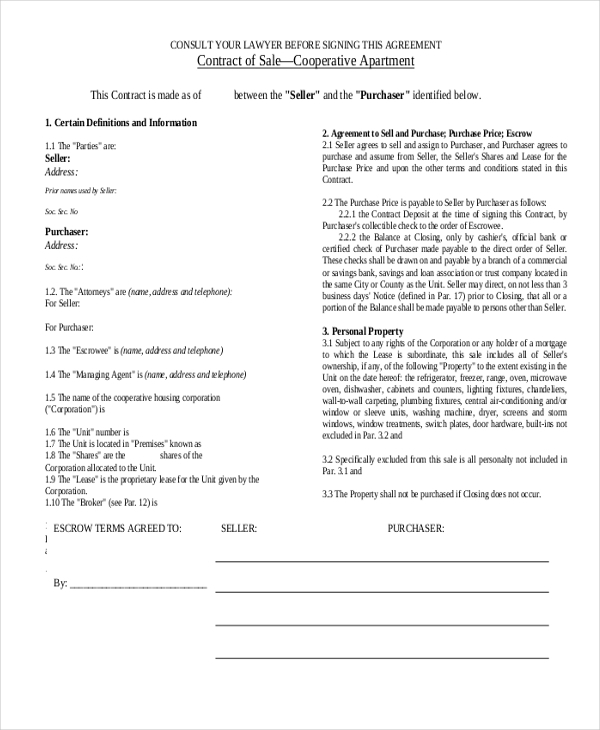 Here is a sample template to use for the contract. In case the property owner wants to sell the property (rent to own), the tenant has a benefit and option of buying the property. But you must sign a sales contract first before selling. Use this form. This is a helpful form because it is free to download and it is easy to use. You do not have to bother editing the sample file. Just fill out the appropriate data. You may also see Nanny Contract Forms. When one buys a property, they are entitled to enjoy using the property without any interference from anyone. A sales contract can help seal the deal. And, it is free to download. In as much as the property belongs to the owner who is willing to sell, the buyer is entitled to their right of privacy and property enjoyment after purchase. 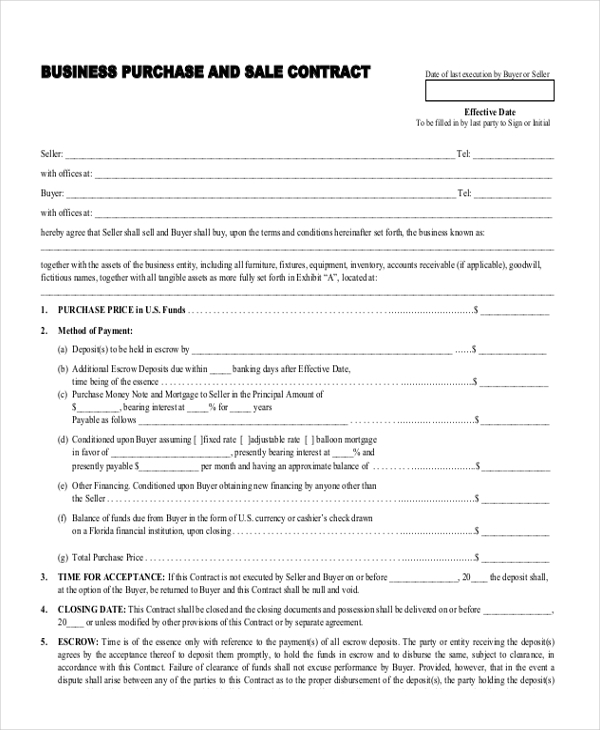 Use this template to create a sales contract. 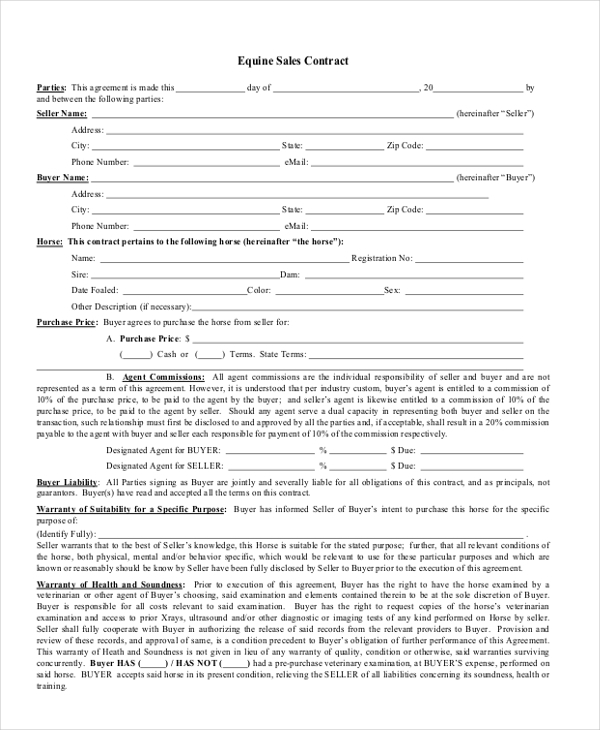 You may also see Marriage Contract Forms. The agreement should be read carefully by the buyer after which it is signed by both parties indicating that the two are bound by it. It is available for free download. Note that one copy remains with the seller as the buyer goes with the original. In the case of any dispute between the two, then the document can be used to clear the misunderstandings. 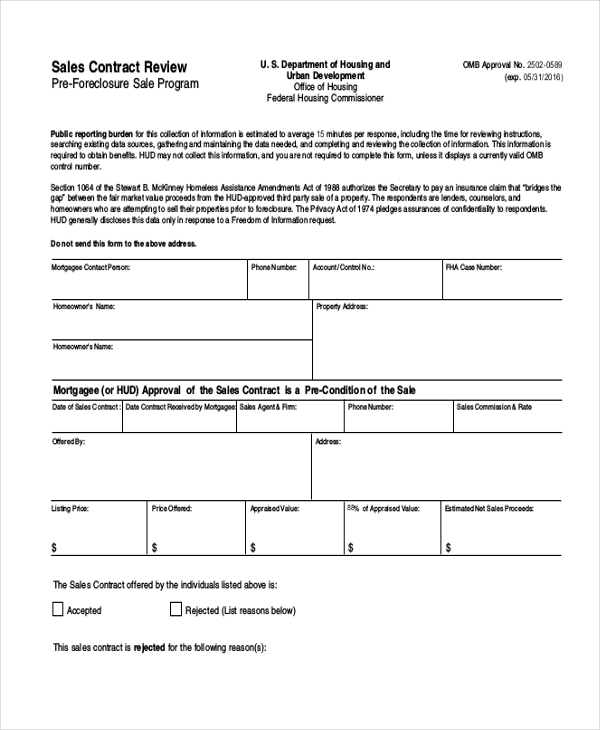 You may also see Service Contract Forms. Also called sales term, this clause shows the date that contract begins and dates when the contract expires as well as the renewal options if need be. It specifies the period under which the commercial property should have been paid for by the buyer. The net amount for the term clearly stated to avoid later misunderstandings that might occur. The payment agreement should specify the amount of deposit to be given by the buyer to the property owner and the terms of making the rest of the payments. If it is a residential home on mortgage sale, the type of activities done by the tenant on the commercial property should be indicated in the commercial agreement. This is to ensure that the property owner is aware of the activities being done in his/her building as well as ensure that the tenant is involving in a legal business. You can also see Catering Contract Forms. Property physical location and size of the property should always be indicated. The exact physical location of the commercial property, as well as the measurement of the property, is always significant to indicate. Buyers want accurate details. Make sure the contract provides this.